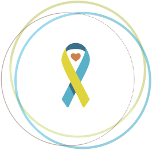 On Saturday, March 18th, family and friends will gather to celebrate the Fun Coast Down Syndrome Association Margaret and Terri Wickel Memorial Buddy Walk®. Among the more than 20 teams which will assemble at Central Park in Palm Coast, Florida, you will find Kristy’s Monkeys. I had the pleasure of speaking with the team captain, and Kristy’s mother, Rosemarie Modica, to learn more about their team. Named by her daughter, Kristy’s Monkeys debuted at the event three years ago as their own team. Before then, Rosemarie’s family participated off and on, walking with the Special Olympics team and spending the day at the event. Then, three years ago, Rosemarie asked Kristy if she would like her own team, and Kristy’s Monkeys was born (Kristy loves cats and monkeys). Being the youngest child in the family, Rosemarie wanted Kristy to have something that is just her own, as her siblings are older and have their own lives. While Rosemarie oversees the fundraising efforts, she wants Kristy to know that she is the driving force behind their team. 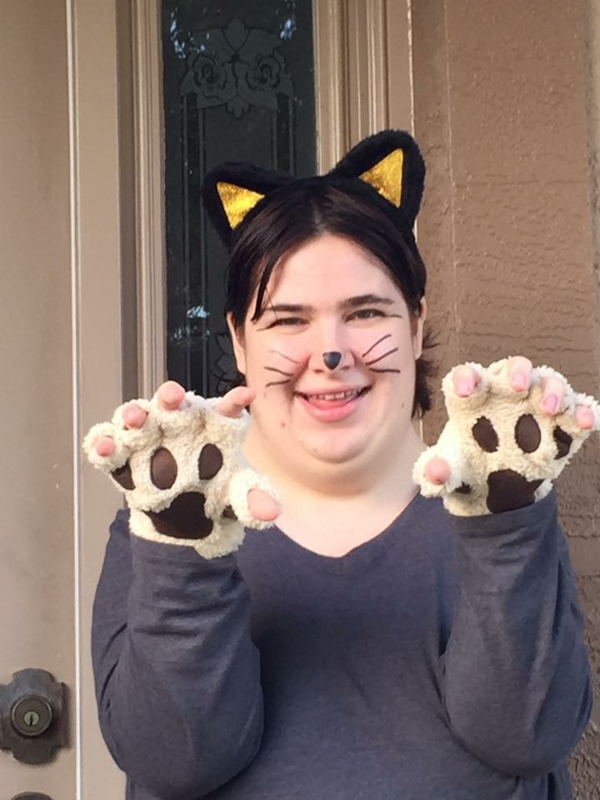 Rosemarie utilizes her personal Facebook page to ask for support for their Buddy Walk® team. She tries to post something every day about Kristy and the walk, emphasizing how much fun the event is. She also mentions it to anyone they might see at church or in their neighborhood. Rosemarie’s sons also assist in raising awareness and recruiting support for their team. One son is a mechanic, and his boss is proud to sponsor their team each year. Other employees have become involved in the team and their fundraising efforts because her son talks about his sister at work. Kristy’s other brother used to wear his Buddy Walk® shirts when he attended Stetson University. Once, Rosemarie asked him why he wore the shirts all the time, and he answered “I love them. These are the coolest shirts! People ask me about them, and then I get to tell them about Kristy.” By simply sharing stories about Kristy and wearing Buddy Walk® shirts, Kristy’s brothers are raising awareness in their communities and helping raise more money for the Fun Coast Down Syndrome Association. “We are part of a special community that accepts us as one of their own,” Rosemarie shared. “It’s important to us. We plan on doing the Buddy Walk every year. 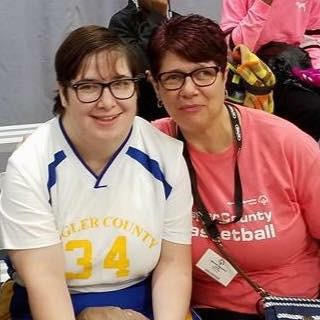 Whether we raise $5 or $5000, we will try.” To donate to the Fun Coast Down Syndrome Association Margaret and Terri Wickel Memorial Buddy Walk®, or to join a team, please visit their fundraising site here.